Golf is one of the few outdoor sports that senior citizens can take part in without straining themselves too much physically. However, golf is still basically a “young man’s game” and the older you get, the more you find it difficult to hit that ball over a great distance. In that regard we will talk about the best golf balls for seniors. First thing is first though, let us talk about what properties these specially made golf balls have that make them ideal for senior golfers. We will also discuss what to look for if you are an avid golfer that is already past the 50 years old mark. Before choosing, you have to consider what you primarily need with your golf ball. Do you need it to achieve maximum distance or maybe a combination of distance and precision? You should also take into account its tour quality performance. Similar to golfers of all ages, senior golf player will need to look at their skill level to determine the best type of golf ball for them. High handicap golf players will need a low compression golf ball while lower handicapped players will not be satisfied with low compression golf balls and will most likely prefer the higher compression ones. Those are pretty much the basics of what a senior golfer should remember when choosing the best golf balls for seniors. Now that we have that cleared out of the way it is now time to take a look at the best selling and highly rated golf balls for seniors in the market today. The Titleist DT Solo Golf Balls is an affordable set of golf balls that offer greater distance with every swing. This is ideal for senior golfers who have a high handicap and is also great for golfers that are not as experienced in this sport. This is an extremely soft and is equipped with a superbly soft core for optimum distance. You can definitely achieve amazing distances using drivers and irons with this trusted golf ball. The Titleist DT Solo Golf Balls may give you an edge when it comes to hitting that ball over great distance but due to the low compression design it will also have lower accuracy and will be quite difficult to hit in a straight line. 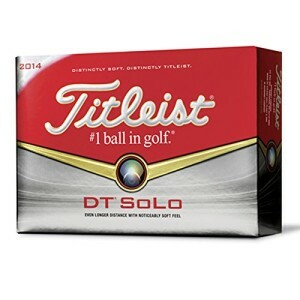 Buy the Titleist DT Solo Golf Balls here! The Taylormade SuperDeep Golf Balls utilizes highly durable rubber material to give it more distance. With a price lower price tag than most high quality low compression golf balls, it has become one of the most popular golf balls for beginners as well as senior golf players. The technology used in developing the core of the SuperDeep golf ball allows for it to store and release the energy from the impact to give it a bounce that will boost the distance it will travel significantly. It also incorporates a low drag aerodynamic design that keeps the ball at a steady height for a longer period. Definitely one of the better designed best golf balls for seniors. Buy the Taylormade SuperDeep Golf Balls here! The Nike Golf Crush Extreme Golf Balls are a slightly more expensive but not much. That is actually expected when it comes to brand name products. The Nike Golf Crusher Extreme helps golfers achieve commendable distance while maintaining more accuracy than what you would expect with a low compression golf ball. It uses a softer yet faster core that is developed to give it the speed needed to reach farther distances while giving golfers that perfect feel on impact. It is equipped with a thin, incomer cover that enhances the greenside feel. This is a 2-piece type golf ball (standard type today) and uses a 312 dimple design to keep drag low while enhancing air time. Each set contains 12 golf balls. 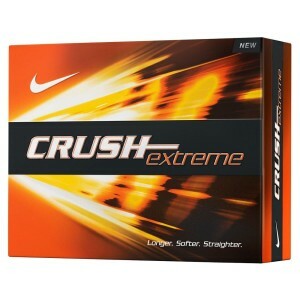 Buy the Nike Golf Crush Extreme Golf Balls here! The Bridgestone B330 RXS is a tour quality golf ball that is ideal for senior golfers who have a mid to high handicap. It is designed to give golfers farther distance while keeping spin at a minimum. It has a soft gradational compression core that enhances its travel distance while keeping trajectory straight. The outer layer itself has been redesigned to give the golf ball a lower number of spin which then translates to higher precision of each swing. The soft Urethane outer layer also helps give golfers greenside spin control. It also incorporates a 2-piece golf type design and a 330 dimple features for a maintained air time. 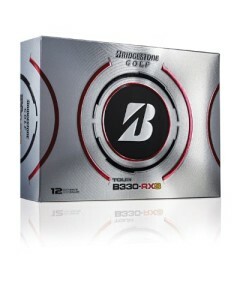 Buy the Bridgestone Golf 2012 Tour B330 RXS Golf Balls here! The Callaway Super Soft Golf Balls get the recognition for being one of the softest golf balls available in the market today. This is quite handy for senior golfers who have found that their swing speed is not as fast as it used to be. It features a 35 compression rating that puts it just at the tipping point of being able to offer longer distances while still maintaining some fashion of precision. As it is designed to have an extremely low compression it also features reduced spin which helps in keeping your golf ball at a controlled height for the ideal distance. The low spin also gives it a straighter flight. The Callaway golf balls are available in various bright colors to help increase its visibility while on the air. 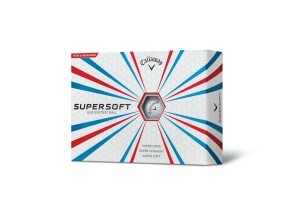 Buy the Callaway Super Soft Golf Balls here! While age does not matter when it comes to playing and enjoying golf it is still a major factor when it comes to your performance. This is why it is essential to have the best tools by your side and senior golfers will do well to have the best golf balls for seniors in their pocket when they plan on taking a day inside the course. I use the Callaway super soft golf ball, it does what they say it does. I am sold on these golf balls for seniors once you use these golf balls you won’t use another ball. They travel longer, great around the green and go straighter. Your content was very helpful to me. It was very informative for senior golfers. because when we talk about golf balls for seniors, we usually think of regular golf balls that have slightly different specifics & your content have almost every important information about senior people’s golf balls. 1 Pings/Trackbacks for "Best Golf Balls for Seniors"